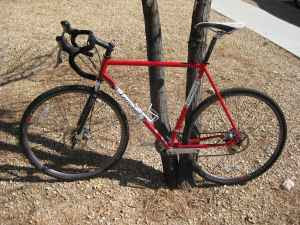 Masa is selling his cross bike to fund a new ride (a lot of that going around these days). It's worth noting that this cyclocross bike has disc brakes (allowed according to UCI's and US Cycling's new rules on Cyclecross specs)! It's a great bike and fun to ride.